Hello! The rumours are true -- we are indeed playing a wedding this fall. A lovely couple generously offered to fly our lead singer home to us from her new abode in Toronto so we can play. This event inspired a band meeting where we have decided to become a special event band. What does this mean? For the right event and for the right price (AKA fly Riki home to us + other incentives), we will seriously consider playing your special occasion. We are pretty ridiculous. 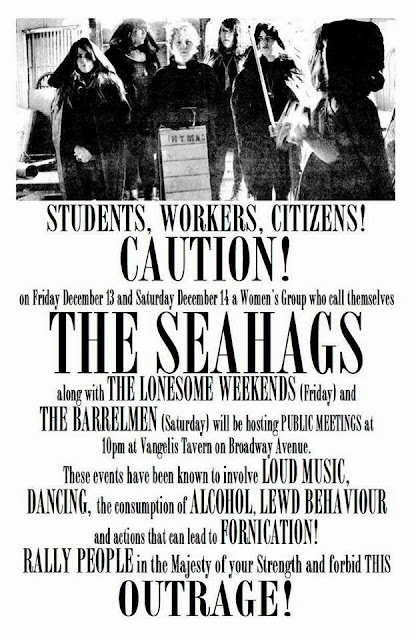 All proposals will be considered, so send them our way: seahags.saskatoon@gmail.com Love y'all. May 30th: we play The German Club in Regina, SK with The Down Home Boys. June 6th: is our big album release party at Amigo's Cantina with Quinzee Town and others. 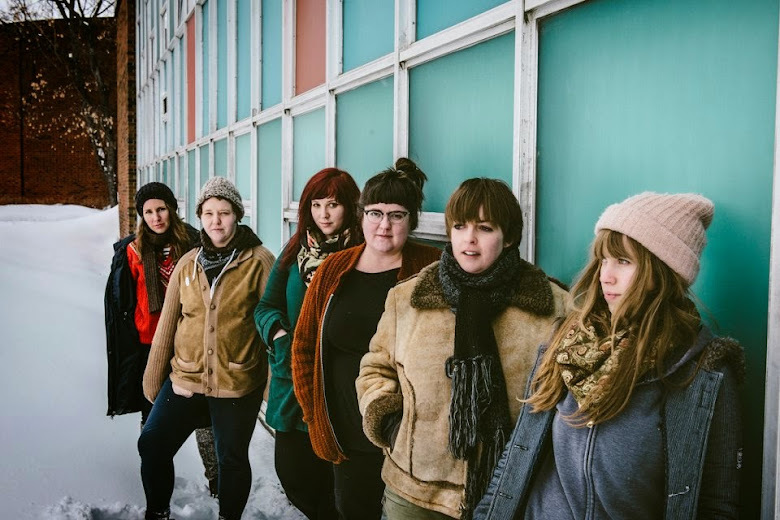 Riki (our lead) has moved to Toronto and is returning to Saskatoon for a month so we are able to release our album and then she is returning back to Ontario! Maybe forever. So this show on June 6th is quite possibly our last. Two of our members have other bands now. BRENDA is in a band called Quinzee Town and JOANNA is in a band called Phalic Baldwin. Our album is getting mastered this week and then is off to the printers. 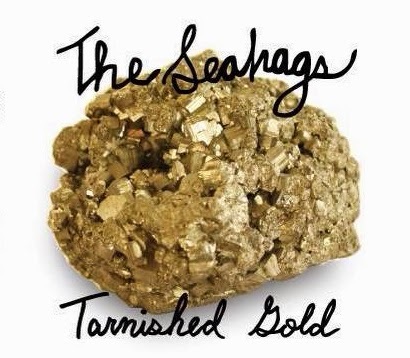 It is 9 tracks with 1 bonus Seahaggy track. More details will be released in the upcoming weeks including previews. we hope y'all been keeping warm. We have a couple of show announcements to make. We will be playing a double weekend at Vangelis Tavern this weekend December 13th & 14th. Friday night we will be playing with Regina's The Lonesome Weekends (we have been harassing them to play a show with us for years) and Slim City Pickers. And Saturday night we play (a double set) with one of our local favourites The Barrelmen.